This session started out as a sitter session, but sometimes you have to go with the flow when it comes to babies. 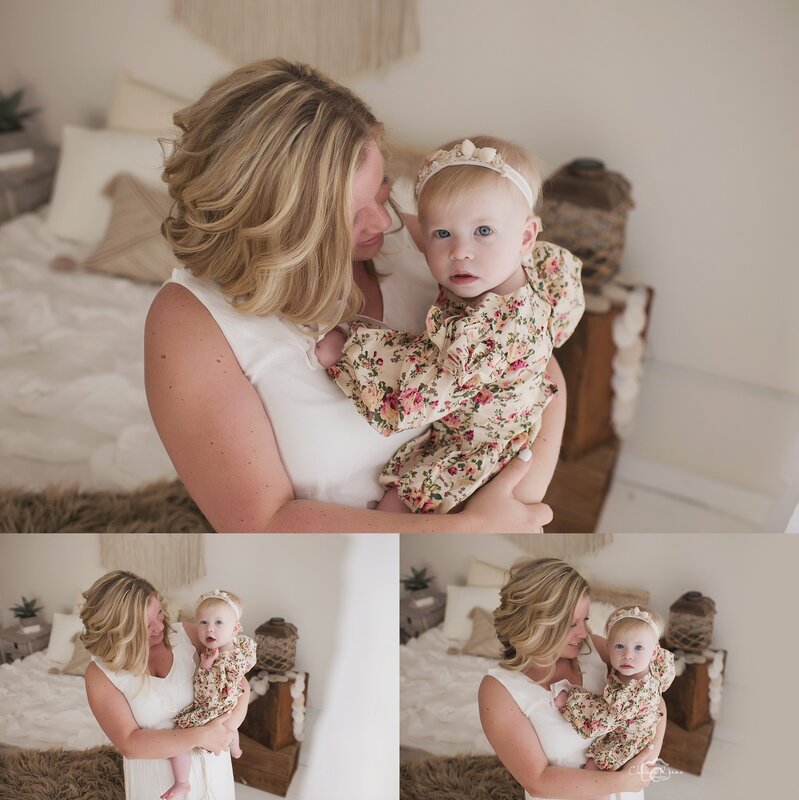 Miss Aubry just wanted her mama and we went with that which created these new Studio Snuggle Sessions. Hopefully Miss Aubry likes the camera a little more when she comes back for her one year session, because the camera certainly loves this little sweet angel. I’m a very flexible photographer that will always do what’s best for your family. I understand there are days where all children want are to be close to their mamas and I would never interrupt that bonding time. We made the most of this family’s session time and they walked away with beautiful mother and daughter images for them to cherish forever. Miss Aubry and her mama snuggled on the whimsical, neutral bed set up. Mama dressed in white which is always a classic, beautiful choice to lighten up your session. Miss Aubry was adorable in her vintage floral patterned dress with fluffy sleeves. After this session, I decided to offer Studio Snuggle Sessions, this is one of many different session types that I offer. If you would like to have a sweet session with your little one, I highly recommend the snuggle sessions. 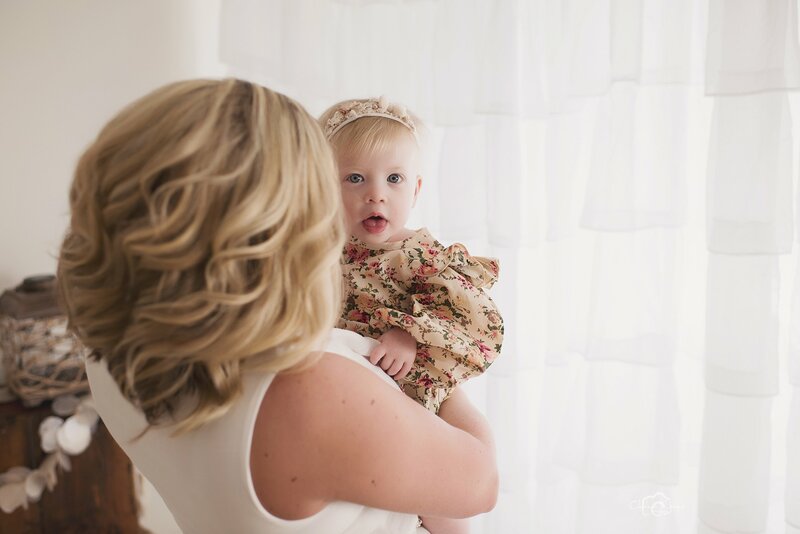 Come to the studio and snuggle with your little one, and I will capture these precious memories for you. Sessions will come with 20 edited images and the option to upgrade your gallery. Contact me to set up your date today!